Legends of Learning offers more than 800 7th grade science games across three topics. 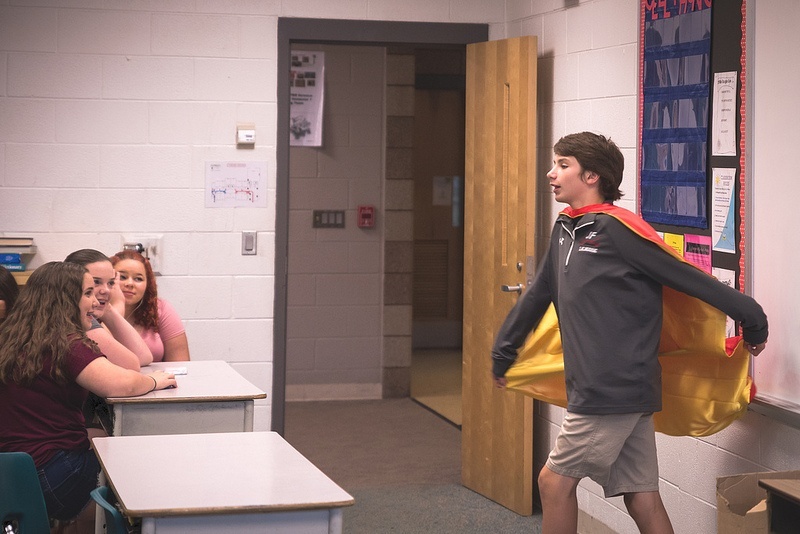 7th grade teaching super heroes can strengthen their classrooms fun, engaging, and productive learning environments with Legends of Learning science games. Your class can access more than 800 online games designed for middle school Earth and Space, Life, and Physical Sciences today! Research demonstrates our 7th grade science games engage students while helping them master your lessons and perform better on tests. Further our games align to the NGSS standards and support select state standards, including GSE, SOL, and TEKS. Within each subject area, you will find 25-35 learning objectives (or lessons). Earth and Space Science learning objectives also have lesson plans that include STEM activities. These resources are available via the above slider on this page. Every middle school learning objective has 7 to 10 games, with the highest teacher rated game featured up top. Games also show student reviews. Forty-four middle school students from the Cobb County School District in Georgia joined Legends of Learning on August 21 on a field trip to Clemson, S.C. to see the 2017 solar eclipse. Kristen Crain, one of the teachers on the trip, discusses how the experience went, including how Legends of Learning games helped prepare the students. Trying Legends of Learning is easy to do. The games are free for teachers who want to set up a complimentary account. There is no need to add any personal financial information. Go ahead see for yourself. Browse our library today!